Karen Pryor is our founder. A pioneer in ethology and behavior and the leading spokesperson for clicker training, Karen is a scientist with an international reputation in two fields: marine mammal biology and behavioral psychology. Through her work with dolphins in the 1960s, she developed modern, force-free animal training methods. Karen is the author of many scientific papers and monographs and seven books. Learn more about Karen Pryor. Aaron Clayton is CEO of the company, overseeing all business operations. Aaron began working with Karen in early 2001 as an advisor and joined the company in 2002 on a fulltime basis. Prior to working with Karen Pryor Clicker Training, Aaron helped found a startup focusing on innovative human resource management technology and was a partner at a successful business management consulting firm in Boston. Aaron is a graduate of Brown University and the Tuck School of Business Administration at Dartmouth College. A native of Massachusetts, Aaron lives outside Boston. Ken Ramirez is the Executive Vice President (EVP) and Chief Training Officer of Karen Pryor Clicker Training where he helps to oversee the vision, development, and implementation of training education programs for the organization. 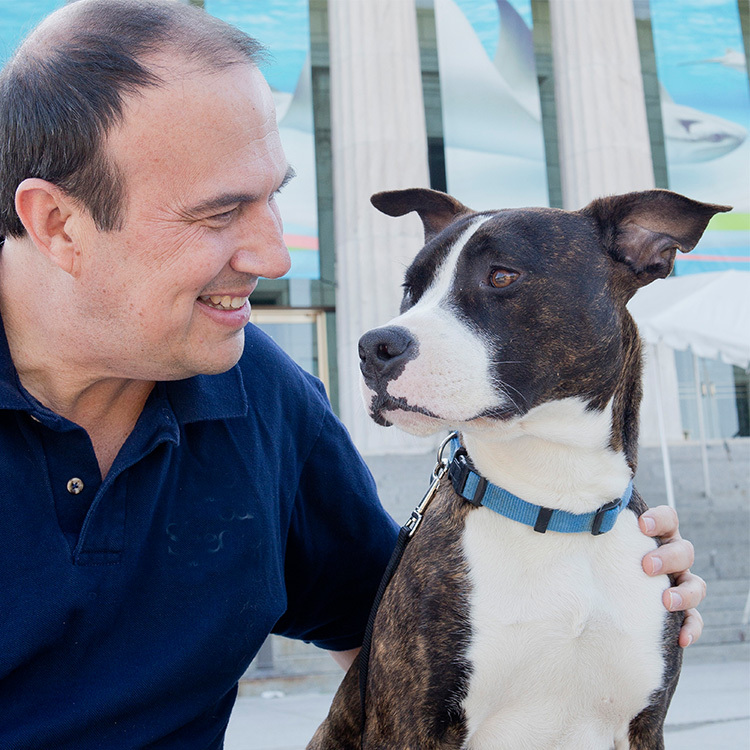 Previously, Ken served as EVP of animal care and animal training at Chicago's Shedd Aquarium, where he developed and supervised animal-care and animal-health programs, staff training and development, and public presentation programs for more than 32,000 animals. Ken worked at Shedd Aquarium for more than 25 years and continues as a consultant to this day. A 35+-year veteran of animal care and training, Ken is a biologist and animal behaviorist who has overseen or consulted on training projects for many zoological organizations throughout the world. He began his training career working with guide dogs for the visually impaired and has maintained a close affiliation with pet training throughout his career. Ken hosted two successful seasons of the pet-training television series Talk to the Animals that compared pet training to the important work done with training and caring for animals in zoological facilities. Recently, he has also recently worked closely with several search-and-rescue-dog organizations and service-dog groups, as well as with bomb and narcotic dogs. Ken has been active in several professional organizations, including the International Marine Animal Trainer’s Association (IMATA), of which he is a past president. He has been actively involved in the creation of a certification process for animal trainers in zoological settings. Ken has written for numerous scientific publications and authored countless popular articles. He authored the book ANIMAL TRAINING: Successful Animal Management through Positive Reinforcement, published in 1999. Ken teaches a graduate course on animal training at Western Illinois University.